The route navigation calculation did not seem to understand that leaving a road takes (some) time or that there are roads where a certain speed might legally be aloud, but where with this speed can’t actually be driven. I did try the free Google Maps navigation service for a few weeks, but although it did the job to bring me from A to B, it wasn’t very user friendly. The calculated route has a little too much tendency to take the short instead of the fast or main route. So I came back to TomTom. 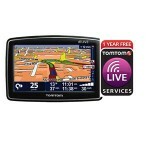 I found a refurbished device on the internet which included the Live services for 1 year. 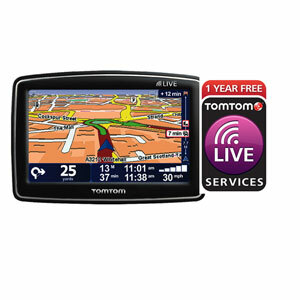 Live services connect the Tomtom to the internet for a prepaid amount of money to send it’s own logging and download things like live traffic information, speed controls, fuel prices and points of interest. Unlike with the Garmin RDS based traffic information, with the TomTom I always have the feeling that I’d better use it’s information. The calculated routes seem very logical and the interface is fine. So I’m glad to be back!